You’d have to be under a rock this afternoon to miss the headline that’s ricocheting across the industry – CBS management finally acknowledged today what we’ve known for a long time, that its radio clusters are on the market. What can we read into the timing – and what will it mean in NERW-land? More so than any of its competitors in the two decades since deregulation, CBS figured out how to put together a true blue-chip collection of signals in the biggest markets. Clear Channel and Cumulus went for sheer volume, buying up station after station in medium and small markets that ultimately returned relatively little to the bottom line while adding massively to the complexity of managing dozens or even hundreds of markets. But CBS Radio management understood that one path to success was to focus relentlessly on the biggest of markets – and through strategic combinations of the former Group W, Infinity, CBS and ARS groups they created a group that had very little fat and a lot of meat. Solid groups in markets such as Buffalo and Rochester that didn’t fit the big-market profile were sold off, followed later on by mid-sized markets including Tampa and Charlotte. Meanwhile, CBS took advantage of declining station pricing and clever trading to add a handful of signals in its biggest markets when most others had stopped buying. In those big markets, CBS bet correctly on the power of local spoken-word programming, investing in sports rights and local news to keep powerhouses such as Boston’s WBZ and WBZ-FM, New York’s WINS and WFAN and Philadelphia’s KYW and WIP at the top of the revenue charts. Pittsburgh and Hartford have been outliers in the current version of CBS Radio; as some of the smallest markets remaining in the company, they’ve long been rumored candidates for sale. If CBS breaks up its radio assets for sale, or if its “strategic exploration” ends up selling only some of its radio assets, it’s likely those will be some of the first markets to go. But if CBS CEO Les Moonves decides that radio as a whole is simply too slow-growing a business to remain in, and thus to sell the whole thing, that’s where things get interesting. Given that CBS maxed out (or came close to maxing) its clusters in those big markets, they’re a poor fit for any of the other big companies that might otherwise be logical buyers. Except for Boston, iHeart is already maxed out or close to it in all of these markets and most of CBS Radio’s others nationwide; even if it could somehow take on still more debt to buy the CBS stations, it would just end up having to spin off as much as it buys. Cumulus, under aggressive new CEO Mary Berner, has more space under the cap in most of its markets (and no presence at all in several, including Boston and Philadelphia), but it’s still in dire financial straits. There are plenty of medium-sized players who might have the financial ability to swallow some CBS markets but not all of them: Alpha Media has been widely rumored as a buyer, for instance, and would certainly fit nicely in a Pittsburgh or a Hartford, but could Larry Wilson put the billions of dollars together to get all of CBS Radio? Connoisseur would surely love to add the Hartford cluster to its own stations there. Greater Media is already capped (at least on FM) in Boston and Philadelphia. Entercom has space under the cap in Boston and no interests yet in the other Northeast CBS markets. Are there outside players interested in investing in radio in a very big way, acquiring CBS Radio in one big chunk at a price that’s likely to run into several billions of dollars? All of this, it seems, may create a problem for CBS: with no likely players to be able to do the kind of tax-friendly swap it did with Beasley last year, it may have little choice in selling but to accept the tax consequences of a flat-out sale…if it can find anyone else who’s playing in the same financial universe these days to be able to afford to do it. Will CBS Radio executives come back to Les Moonves in the end to report there are no plausible buyers out there right now for its Cadillac clusters, and perhaps it’s better off to leave them right where they are? We will, of course, continue to be watching very closely as Moonves and his board take the temperature of the radio world to see if there’s a willing and able partner out there for their station groups. And we’ll hope for the best for all of the talented folks who continue to fill those stations with content day in and day out. Back next Monday with a complete NERW report, including our annual Baseball on the Radio…and in the meantime, we want to hear your thoughts. Who might be the next owners of CBS Radio’s properties? I’m sure Entercom would LOVE to get their hands on the CBS Boston cluster, at a minimum. Besides having real market-wide FM’s for a change, they’d also stamp out any chance of a buyer coming in and continuing the run of The Sports Hub that’s been such a thorn in WEEI’s side. Wondering if there would be DoJ issues with an ETM acquisition of the CBS Boston cluster. Over at RadioInsight, Lance is pondering whether CBS might engage in some sort of tax-friendly swap that would send the CBS Radio assets to Liberty in exchange for STARZ. Liberty would then be able to pair CBS Radio with SiriusXM. I’m thinking *that* might have greater DOJ implications. I think there’s enough competition in Boston from Greater and iHeart that DOJ wouldn’t have much to object to in an ETM acquisition of the Boston CBS cluster, especially since the FCC caps would force at least two FMs to be spun anyway. Is WAAF part of the Boston market or the Worcester market, in terms of ownership caps. If it’s Worcester, then I would think Entercom would only have to spin off WKAF 97.7 and that’s it. That would put them at five Boston FM’s (104.1, 93.7, 98.5, 103.3 and 100.7) and three AM’s (680, 850 and 1030). The irony, of course, being that they’d probably WANT to get rid of 680 and 850 while they’re at it…given the lack of success those properties have had as of late. :-/ (I’m beign sarcastic, of course…I have to imagine Entercom could figure out new ways to prop things up at 680/850 if they were part of that mega-cluster we’d otherwise be describing. I don’t think Entercom would mind losing both 107.3 and 97.7 if WAAF is part of Boston, though. Not to gain the other prizes in that deal! 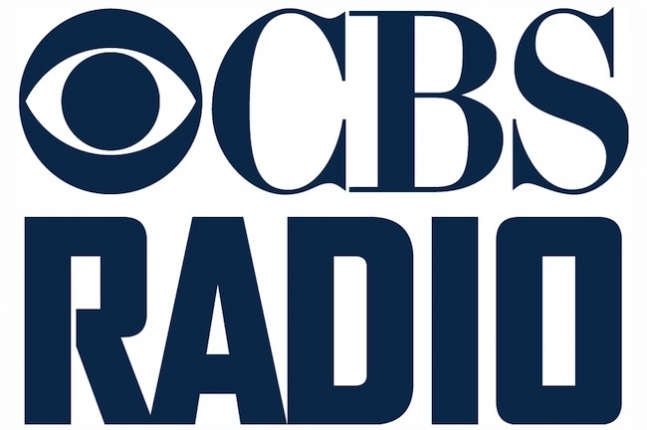 Given the tax situation, I wonder if there’s any thought being given to simply spinning CBS Radio off to shareholders (which would be tax-free), either instead of or in advance of selling the stations. There are ways a spin-off could be structured that would allow shareholders to choose which business (and thus which tax position) they would like to own. This is one of the more sensible suggestions I’ve heard. I’m sure it’s something they’ll be considering. CBS Radio on its own would be a solid company indeed. The equivalent, I guess, would be something like the split Gannett recently did between the slow-growth newspaper business and the faster-growing TV business that’s now TEGNA. IF iHeart was recently thinking of spinning off some of their stations to help meet severe debt obligations, the selling-prices of such stations just went way way down. That’s the $640,000,000 dollar question, isn’t it? I agree with Scott that a massive selloff by iHeart or Cumulus is unlikely because it’s counterproductive. A mass selloff depresses station values a lot, and even if iHeart sold off a LOT of stations at full market value, it still wouldn’t put all that huge a dent in their debt obligations. They’d have to exit some major markets to get the kind of cash they’d need for that, and that, in turn, just means they’re left with a lot of small/mid-sized properties that’re just that much less profitable. It’s lose-lose-lose all around to make a panic move like that. *BUT* I’m 100% positive the bondholders at iHeart…and probably Cumulus, too…are looking hard at the numbers and the timelines to make sure of that. The debt obligations are so extreme that it certainly is theoretically possible that iHeart’s bondholders see greater advantage of getting out now and forcing license sales to be made before CBS makes whatever move it may or may not make and (presumably) depresses the market noticeably for at least a couple years. Even with the huge hit they’ll be taking against what they could make otherwise. Who knows? They might decide it’s better to cut their losses today than to wait it out for tomorrow.